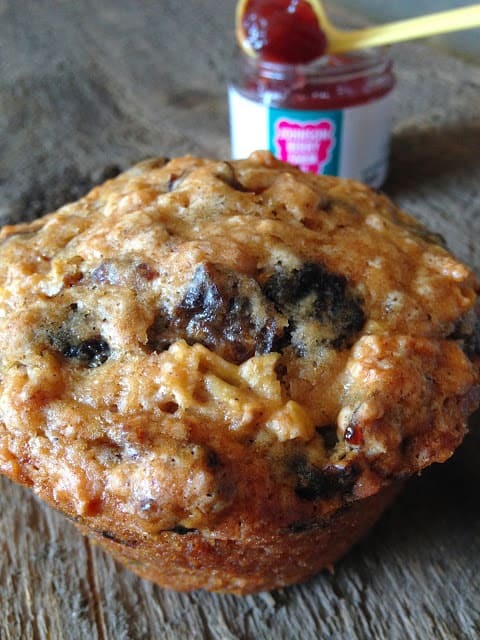 Apple Prune Muffins are super moist and have a nice lemony flavor from the lemon zest and juice. 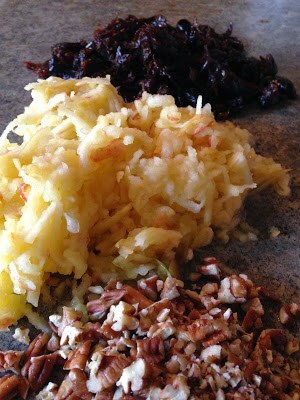 The shredded apples along with the chopped prunes make the muffins nice and moist. Chopped pecans add the extra crunch we love in a muffin. 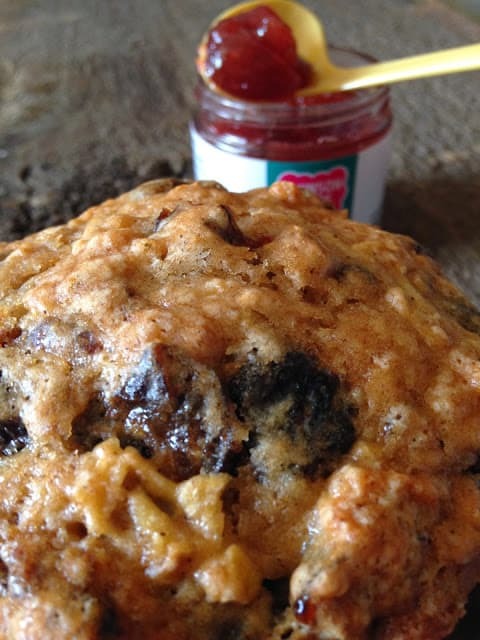 Apple prune muffins are packed full of healthy flavor. What else can I say, they’re delicious! A prune is simply a dried plum, the word coming from the Latin prunum for “plum.” The French, however, call a fresh plum prune, while their word for prune is pruneau. 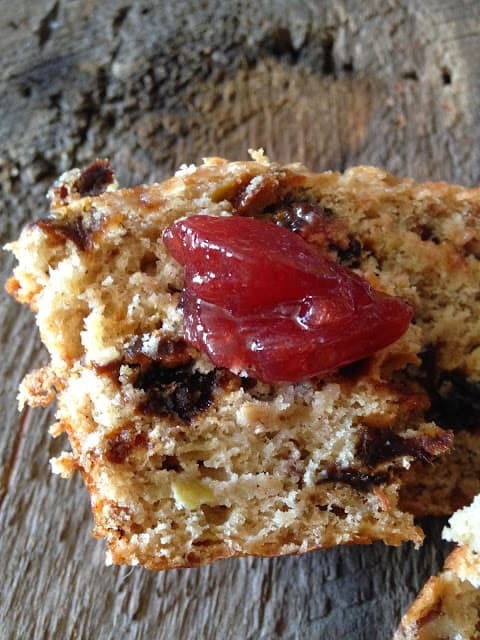 To further complicate matters, after this dried fruit had been known as a prune for centuries. In 2001, Food and Drug Administration approved to call prunes “dried plums.” Which, of course, they always have been and always will be. 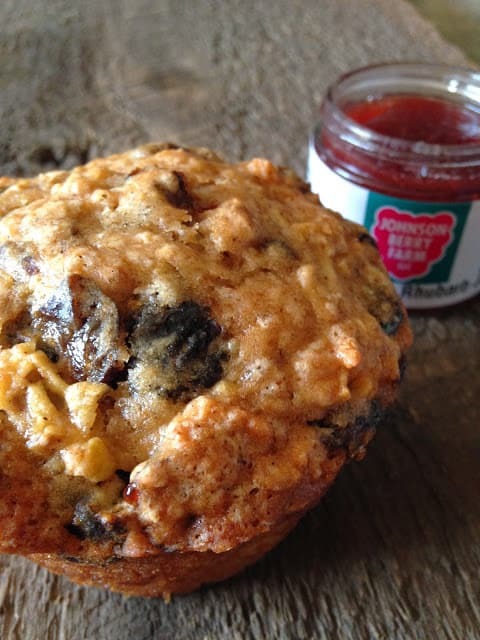 We served these delicious apple prune muffins with strawberry rhubarb jam that my son and daughter-in-law brought back from their trip to Johnson Berry Farm. In a large bowl, stir together the flour, granulated sugar, brown sugar, baking powder, cinnamon, allspice, baking soda, and salt. Bake for 35 to 45 minutes or until toothpick inserted in the center comes out clean. Run a knife around muffins, carefully remove muffins from pan. Can whole eggs be used in this recipe instead of egg whites? Thanks Miz Helen I'll be by to pick it up! 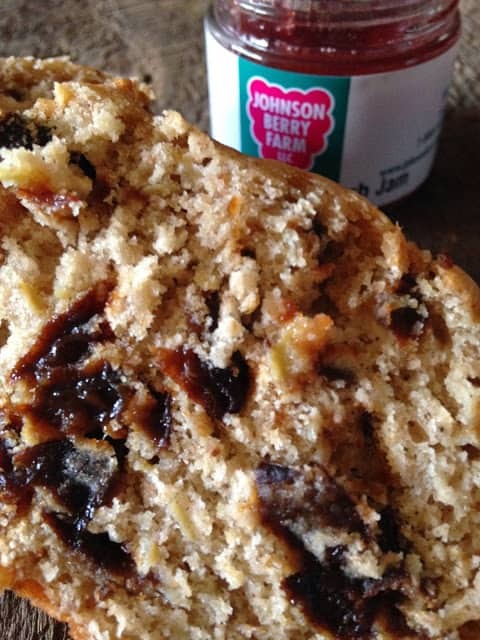 I just love your Apple Prune Muffins, just delicious! Thanks so much for sharing your awesome post with Full Plate Thursday and hope you have a great week!